Electroplating rectifier system greenization have profound meaning: The first is significant energy-saving, which means save power generation capacity, while power generation is an important cause of environmental pollution, so power saving can reduce environmental pollution; and secondly these power can not (or less) generates pollution to power grid, International Electrotechnical Commission (IEC) has developed a series of standards such as IEC555, IEC917, IECl000. In fact, many power electronic energy-saving equipment, often turn into sources of pollution on the grid: inject to grid of serious harmonic current, make the total power factor drops, so many glitches coupling grid voltage spikes and peaks, even chipping and distortion. In end of 20th century, a variety of active filter and active compensator was born, with a variety of power factor correction method. Laid the foundation for mass production of a variety of green switching power supply in 21 century. Modern power electronics is the basis for development of electroplating rectifier technology. With the continuous emergence of new power electronic devices and adapted to more higher switching frequency circuit topology, modern power supply technology driven by real needs will be rapid developped. In traditional application technique, due to the performance limits of power leaving, switching power supply device performance is affected. Greatly put to good use of characteristics of various power devices, minimize device performance impact on switching mode rectifier, new power circuit topology and new control technology enables power switching at zero voltage or zero current state, which can greatly increase the operating frequency, improve work efficiency of switching mode power supply, then design excellent performance switch mode power supply. In short, power electronics and switching electroplating rectifier technology continues to move forward due to application requirements, the emergence of new technologies will make many applications replacement products, but also to open up more and new applications. High frequency rectifier switching power supply, modular, digital, greenization etc., will mark these technologies as mature, to realize high efficiency and high-quality electricity application combined. 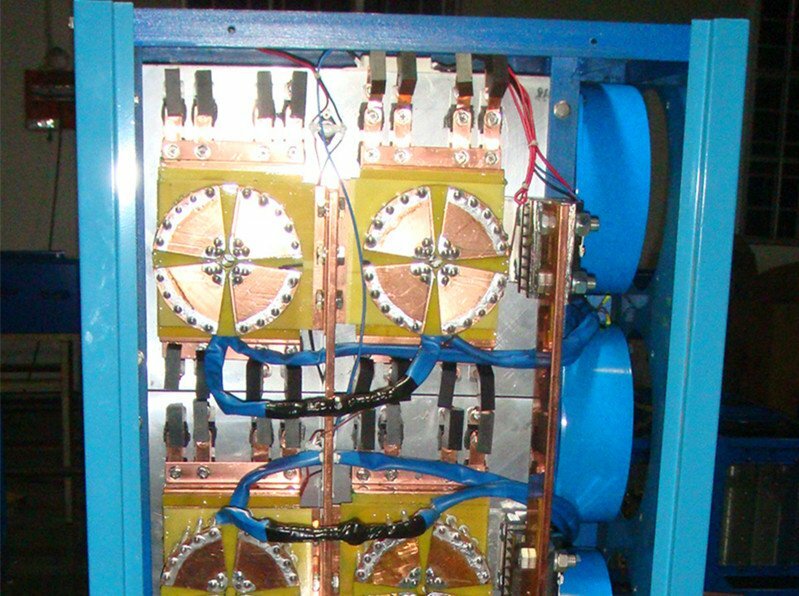 In recent years, with the development of the communications industry, switch power technology as the core of communications switching power supply, only the domestic market demand of more than 20 billion yuan, has attracted a large number of scientific and technical personnel to develop research. Switching power supply instead of linear power and phase control power supply is the trend and will soon be developed. There are many other in switching power supply technology as the core of a dedicated power supply, industrial power are waiting for people to develop.